I love the program, and works great!!! Finally I can make them all in my Smart Lib. What would be nice is, to be able to resize the main window. Also, on the screen where you need to select the category.. I don't know which ones to pick, so i just fill out everything the same. MAybe a help / tip would be useful. I watched the video, figuring out in what order the categories and what type you need to select for it. I'm glad you find my program useful. If you are talking about the smart content tab not resetting yes the only way to reset it is restart the program. As I said in the planed options forum I just got some good feedback on the smart content tab. 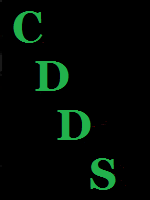 As you will note by the smart content tab image in the CDDS background forum the smart content tab hasn't changed much this was do to the lack of feedback on it. I was working on it and one of my HDDs failed witch unfortunately my most recent work was on that drive. I'll see about making a doc or video with more detailed info on the smart content tab options for you. Another suggestion is, when you save a new Zip file, and you discover that 1 of the items is not correct, you can't load your new DIM, since the settings won't be read. idk if that can be an option ? btw. i looked in the planned options forum, but all there is that you got feedback back, no info on what you are planning to add. Reloading DIMs back into the smart content tab is part of the smart content redo I have planed. At this time the only thing that is planed is redoing the smart content tab I could list some of the things I have in mind for it.